Let write your perfect application for employment. Different countries, different styles of job application. Especially in Germany, there are many details which have to be followed if you want to find a job. Details such as the application format, the choice of the picture, school grades and many other. 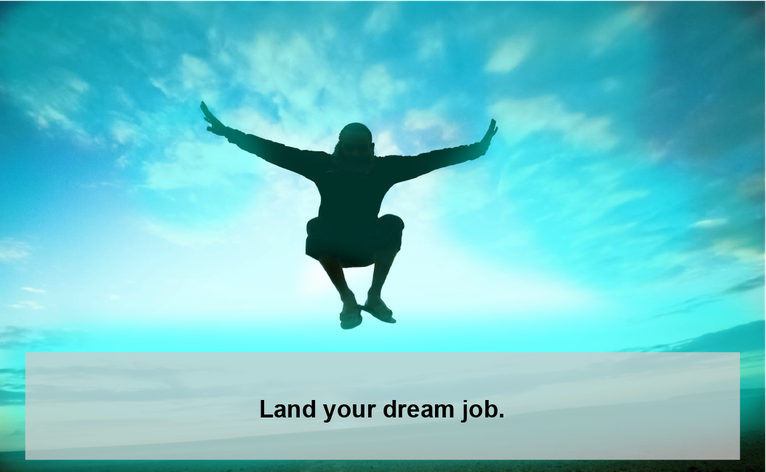 I can support you to make sure that you did everything for your dream job. Benefit from a German native-speaker expert preparing your perfect job application. Order the WAMATI application check and get your tailored and complete job application. Unlike other job application check services, with the WAMATI application check you will not only receive feedback, but a completely written, ready to use job application - A major advantage on many other job application check tools and services. Get an advice from a native German speaker and WAMATI expert with long-term experience in the field of employer marketing, marketing and public relations in both large and small German companies. More time and better opportunities for you. Get a perfect German-language job application ready to use. Get a full and detailed elaboration of corrections. Get a job application tailored for the regional requirements. Get a better chance of being invited to an interview. Get a competitive edge over other candidates. Get an objective and neutral feedback from an expert. Gain the confidence of not forgetting importent details. 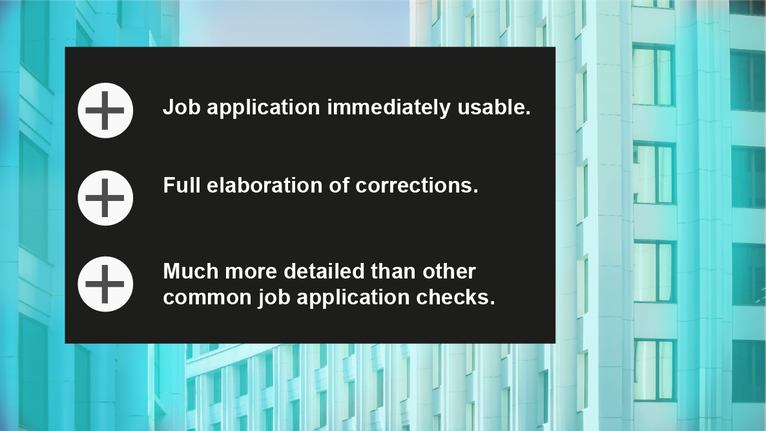 Get a useful and individually tailored template for future job applications. Integration of modern features like tag cloud etc. Fit with all technical requirements like file size etc. Whereas texter only able to text, designers only able to design and Human Resources experts only see the content, the WAMATI experts see the whole picture. We are experienced in the field of employer marketing, marketing and public relations and know how your job application can make the race. We are German native speakers, familiar with the different job application requirements of small, mid and large size companies and with the unique application requirements of jobs from different segments such as: Finance, consulting, automotive, Software development and more. 1. You send us an email to "contact" with the subject "job application check". 2. We will send you an offer that you will confirm, as well as a non-disclosure-confirmation. 3. You will send us all your application sheets and data including the job advert. 4. In a case we have any questions, you will be able to answer them by email or by phone. 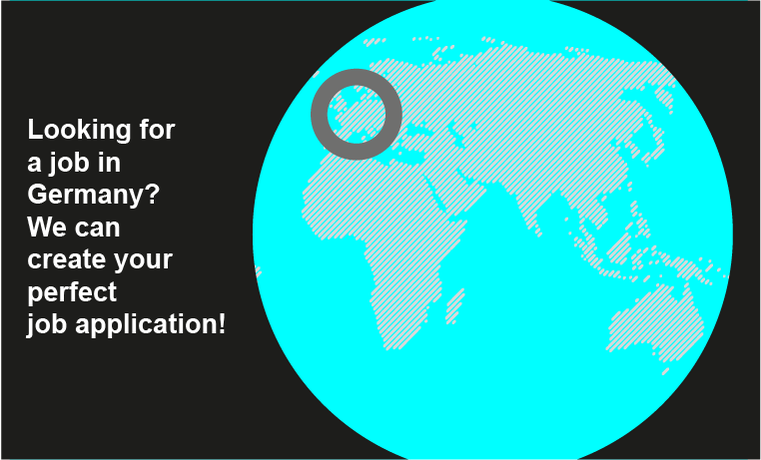 After we will receive all required infomation, we will send you your perfect job application within a week. 5. You receive the bill for the service.